Losing his daughter, Charlotte, has left Pierce Brosnan having to relive his fist wife's death. 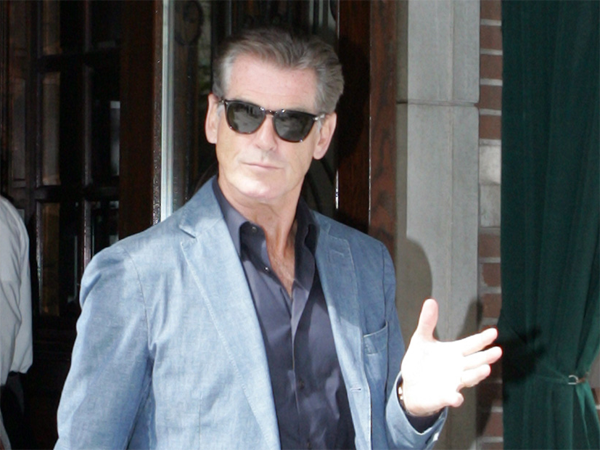 Losing his daughter has left Pierce Brosnan having to relive his first wife's death. The I Don’t Know How She Does It star's adopted daughter, Charlotte (41), died after a three-year battle with ovarian cancer on 28 June, 22 years after his first wife ? Charlotte's mother, Cassandra ? died of the same disease, and his good friend Bron Roylance admitted it has brought up sad memories for the 60-year-old actor. Bron told People magazine, "Charlotte's illness came with a darkness because Pierce was reliving the past. He was having to relive the whole nightmare of this horrific disease. Pierce is dealing with Charlotte's death but in reality he is beyond devastated." However, Pierce is getting through it with the help of his second wife, Keely Shaye Smith, whom he married in 2001. Bron added, "It's true love. During the tough times they are both beacons of strength. Pierce uses the words, 'Rise up.’ He's got an inner quality that allows him to continue. He will continue to be a husband and a father. He will continue on with his life. That's Pierce: one foot forward. Always."